Akhanda Srinivas Murthy is a first-time MLA from Pulakeshinagar constituency, which is reserved for Scheduled Caste (SC). He was one of the three city MLAs from JD(S). 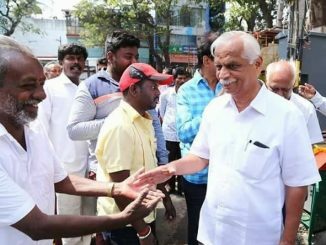 The PUC pass MLA was one of the first political leaders to respond when tensions escalated between the Army and the residents of JC Nagar over the access road to a 117-year-old mosque near Modi Gardens last year along with his party colleague from the Chamarajpet, Zameer Ahmed. He was suspended from the party for cross voting in the Rajya Sabha elections in 2016. 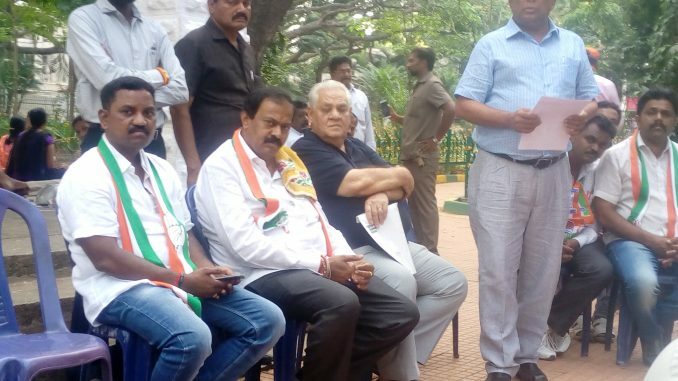 He tendered his resignation from JD(S) party to the Speaker in March 2018, and was welcomed into the Congress party by Rahul Gandhi during a State rally. The Karnataka Legislative Assembly website currently lists the Pulakeshinagar seat vacant and has no details of about Murthy. February 8, 2015: Pulikeshi Nagar MLA, Akhanda Srinivasa Murthy, chaired an awareness drive on malnutrition in DJ Halli, in the presence of judges and ministers, and even officials from the department of Women and Child Development. July 19, 2015: MLA Akhanda Srinivas Murthy has given permission to set up 16 food stalls and 12 hotels to operate on Mosque road, and M M road during the month of Ramzan. He imposed a 10 pm deadline to curb suspicious activities, such as drinking and gambling. July 24, 2015: Responding to a question posed by MLA Akhanda Srinivasa Murthy, Congress Spokesperson, Dinesh Gundu Rao, said his department has closed 220 fair shops distributing fake ration cards, therefore misusing the Anna Bhagya Scheme. August 13, 2017: The families living near the Mysore Lancer Masjid were served an eviction notice by the Parachute Regiment Training Centre ( PRTC) in a 20 year old land dispute case. 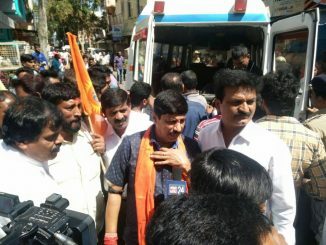 MLA Zameer Ahmed Khan along with Akhanda Srinivas Murthy made the crowd disperse after promising to communicate to the defence forces on their behalf. August 2, 2013: JD(S) workers protested and demanded at the Frazer Town police station to release the brother of MLA Akhanda Srinivas Murthy, whose arrest they said was politically motivated. The accused, Mahesh Kumar, was arrested for allegedly illegally demolishing and taking over a property in Kaveri Nagar. August 6, 2015: The MLA’s wife, Kriya Shylaja, was fielded for the BBMP corporators election from Muneshwara ward. June 12, 2016: Former Prime Minister, HD Deve Gowda said that eight members were suspended from the JD(S) and a three-member inquiry committee will investigate them for being disloyal in the biennial elections. MLA Akhanda Srinivas Murthy is among the MLAs who helped the Congress win a Rajya Sabha seat. December 23, 2016: The result of the poll conducted to assess the majority of the Legislative Council in Karnataka, showed the varying loyalties of a few JD (S) MLAs. Murthy is one of the MLAs who supported a Congress coalition with JD(S) in the state. April 11, 2017: Seven ‘rebel legislators’ including Murthy get an unofficial assurance that they would be given Congress seats. This reward was given to them for supporting party candidates in the Rajya Sabha polls. March 22, 2018; The ‘rebel MLAs’ were granted permission by the High Court to vote in the Rajya Sabha elections despite being disqualified by the JD (S). March 24, 2018: Akhanda Srinivas Murthy’s resignation was accepted by the speaker, KB Koliwad. March 25, 2018: In a rally held in Mysore, Rahul Gandhi officially welcomed Akhanda Srinivas Murthy and six other former JD(S) MLAs into the Congress Party. Every year, an MLA is given Rs 2 crore to spend on developmental works in his constituency. He should allocate the funds for areas such as government, community, education and health infrastructure. 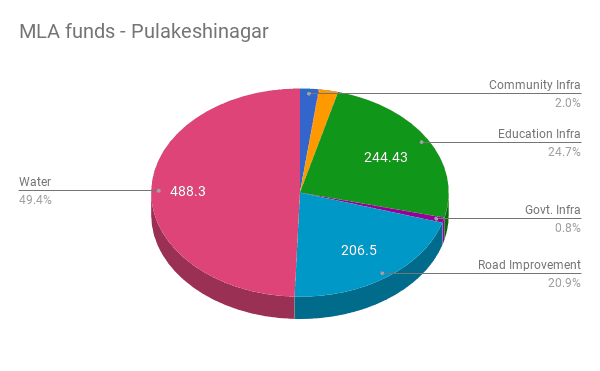 ☛ Click here for full data set of works done/sanctioned under Akhanda Srinivas Murthy’s MLA Local Area Development Funds. Akhanda Srinivas Murthy spent maximum money (Rs 4.88 crore) on water facilities. At some places, “Providing drinking water supply, pipe line, pumping machinery, UG Cable and Tank Mohalla Slum Board quarters” is allotted only Rs 1 lakh, while for some upper class areas, the allocation is Rs 10 lakh. Four RO purified drinking water units are allotted Rs 25 lakh each. About Rs 2.44 crore has been spent on educational infrastructure. They range from Rs 2.5 lakh to Rs 20 lakh. A sizeable amount from this goes to supplying computers to government schools. Some items are allotted money twice, “Detailed estimate for Construction of Pavilion Block, dining hall and other improvement works to St. Joseph’s Girls Primary and High School” was given Rs 12 lakh at one point, and Rs 10 lakh at another. The next biggest category on which money was spent is road improvement, with an investment of Rs 2.06 crore. Read more about his spending in this list of data available here. What has Hebbal MLA been up to in the last five years? Hebbal saw two MLAs in last term – both from BJP. After the death of Jagadish Kumar in 2015, the next bypoll saw Narayana Swamy win the seat. BN Vijayakumar spoke about his work in Jayanagar constituency, the sad story of waste composting in Jayanagar, cycle lanes, public transport and more, in an interview done a week before he died. In KG HALLI TOO MUCH OF DUTY BARRAGE PEOPLE OF THROW THERE PLEASE DO SOMETHING FOR THAT .TELL PEOPLE NOT TO THROW THERE . PLEASE TEMPO TO ALL HOME TAKE BAVRAGE . BECAUSE OF DUTY BARRAGE THORWING IN THE . HEALTH PROBLEM STATED TO SINIOR CITYZEN. KINDLY AS SOON AS POSSIBLE SOUTOUT THUS ISSUES .